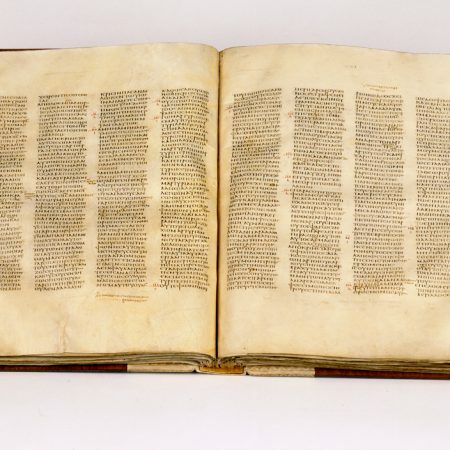 One of the two primary manuscripts claimed by textual critics to be "oldest and best" is the Codex Sinaiticus. Much evidence clearly points to this "ancient" book actually being a modern fraud. But that story is for another time. In this article, we're instead going to look at the textual critics' version of the story. Because it is every bit as damning as the truth. The discoverer of the Codex Sinaiticus, Constantin Tischendorf, believed (along with some modern scholars) that the codex was created in the fourth century by the command of the emperor Constantine I. Constantine commissioned Eusebius to create 50 copies of the Bible, of which the codex is thought to be one. Some disagree with this origin for the codex however, and believe that it was composed elsewhere during the forth century. Modern paleographical analysis indicates that the codex was the work of 3 or 4 different scribes, whose identities are unknown. The history of the codex after its creation is not well documented, and thus rather uncertain. What is apparent is that the manuscript was heavily corrected, by at least 7 scribes, on several different occasions over the centuries. No other early manuscript of the Christian Bible has been so extensively corrected. A glance at the transcription will show just how common these corrections are. They are especially frequent in the Septuagint portion. They range in date from those made by the original scribes in the fourth century to ones made in the twelfth century. They range from the alteration of a single letter to the insertion of whole sentences. The first modern reference to the codex of which we are certain is when it was seen by Constantin Tischendorf upon a visit to Saint Catherine's Monastery in 1844. He obtained a portion of it upon this visit, and in a subsequent visit in 1859, obtained the rest of it. These Institutions recognize that events concerning the history of the Codex Sinaiticus, from 1844 to this very day, are not fully known; hence, they are susceptible to widely divergent interpretations and recountings that are evaluated differently as to their form and essence. 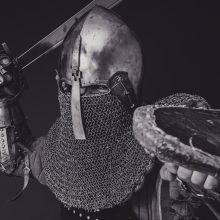 It appears that Tischendorf's initial story of finding the codex in a waste basket is false, and that he may have obtained it by dishonest means. Today, the Sinaiticus is one of the two main witnesses used by textual critics to "reconstruct" the Biblical text. That is to say, it is one of the main sources of many of the changes in modern bible versions. Codex Sinaiticus is one of the most important witnesses to the Greek text of the Septuagint … and the Christian New Testament. The significance of Codex Sinaiticus for the reconstruction of the Christian Bible's original text … is immense. 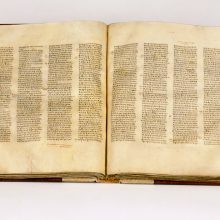 The Sinaiticus does indeed contain many unique readings found in no other manuscript on earth. Yet, despite its many correctors, the Sinaiticus still contains egregious errors and omissions. Even Tischendorf, in his 1862 "facsimile", did not reproduce all of these, they are so embarrassing. There is no one who believes that the Codex Sinaiticus represents the pure text of scripture—it contains so many different marginal readings and corrections, it is not possible to ascribe to it any one single reading at all. If the Codex Sinaiticus represents a truer version of the biblical text, then it is clear that far from preserving his word, God allowed it to be corrected into obscurity. There are only two options. Either the Bible was wrong, and God did not preserve his word, if the Codex Sinaiticus is "oldest and best". Or, God has preserved his words to every generation in the received text, and the Codex Sinaiticus is a useless dump-heap of ungodly corrections. Indeed, why should we believe a book that, clearly, nobody trusted? To be spread throughout the land. Found something they could change! But thought it told them lies. Changed, was still not satisfied. "The oldest and the best." It's different than the rest. But know it's often wrong. To be like it before long. Still telling lies to me!